With D.P.F., your parts will be processed with the latest technology in fabricating equipment so you can expect consistent part to part accuracy. Precise part turnout starts with precision cutting. 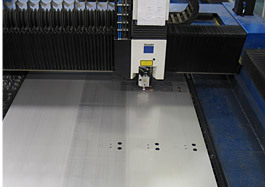 To achieve that goal, we use TRUMPF sheet laser cutting systems with a cutting capacity of up to 80" wide x 156" long x 1" thick with lights out operation. Not only can you expect consistent part repeatability, our TRUMPF "nesting software" calculates the maximum yield of parts per sheet, leaving a minimal amount of scrap. 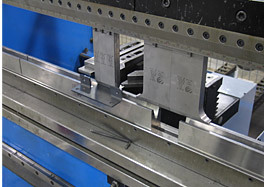 Parts are formed using a combination of CNC electronic press brakes and precision laser hardened European press braking tooling, sectionalized to work around any part configuration. Forming your parts at the D.P.F. 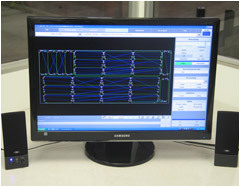 facility will make you the beneficiary of the most advanced press brake technology available today. For assured part accuracy, we use advanced "off-line" part programming before the parts are formed in real life to avoid guesswork and costly part mistakes. 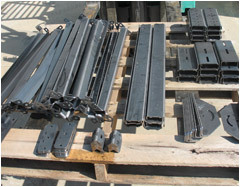 We have capacities up to 12' in length and 3/16" thick.